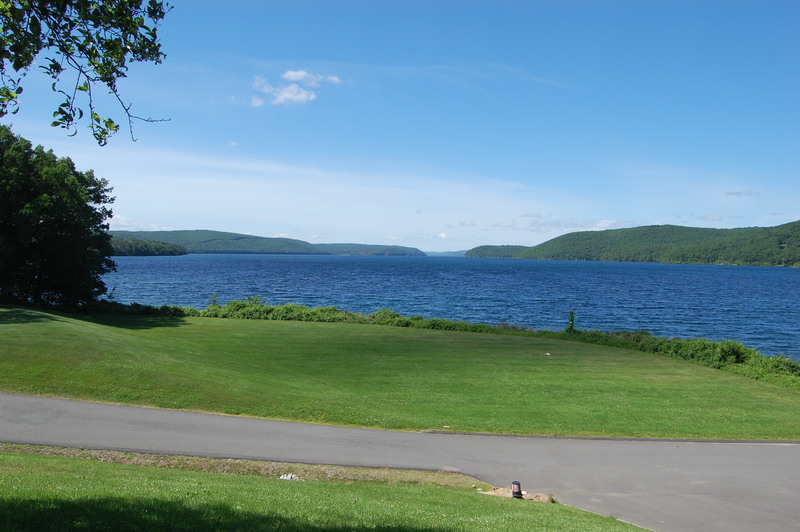 Quabbin Park and Reservoir; Belchertown, MA - Take a day trip! successor agency to the agency that built this enormous reservoir. 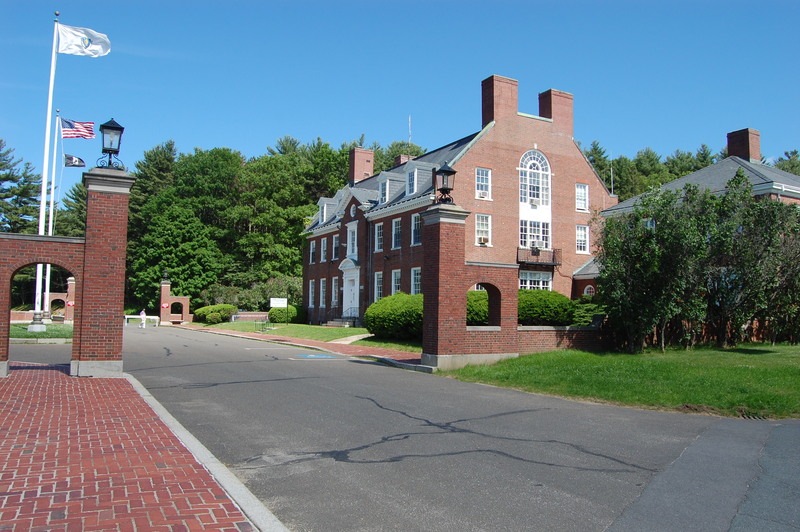 It comprises the former towns of Dana, Enfield, Greenwich and Prescott; Massachusetts. These 4 towns ceased to exist in 1938, several years into the creation of the reservoir. Hiking: There is a nice network of hiking trails that circle the southern parts of this huge reservoir. There are lots of marked routes with lovely lookouts and there is a tower you can also climb to get a great view of the reservoir (and former valley). These trails add up to nearly 20 miles that can be hiked so there are lots of options in a relatively small space. 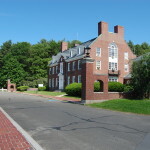 Biking: There is a bike trail the loops from Route 9 past the visitor center and goes past the Quabbin Tower and Enfield lookout. It includes a couple spurs to see other parts of the park and is a relatively gentle ride. Fishing: Fishing is allowed in certain limited areas of the park with a state license and subject to park rules. Picnicking: Picnicking without fires or grills is allowed in parts of the park, make sure to pack out what you bring in. Boating: Limited access to the reservoir is permitted via boat. Check out the parks website for more details. Because the primary purpose of the Quabbin Reservoir is to provide drinking water to much of Eastern Massachusetts there are a lot of activities that aren’t allowed here, including the following: Swimming, going out on the ice, fires, camping, hunting or any activity involving firearms, alcohol, going out into restricted areas and any domesticated animals (including dogs and horses). Also, be very careful to pack out any waste with you when you leave to protect this large section of wildlife habitat that hosts a lot of species that aren’t very common in Massachusetts anymore. Another important thing to note is that a lot of activities on the reservoir that are allowed require a special permit. 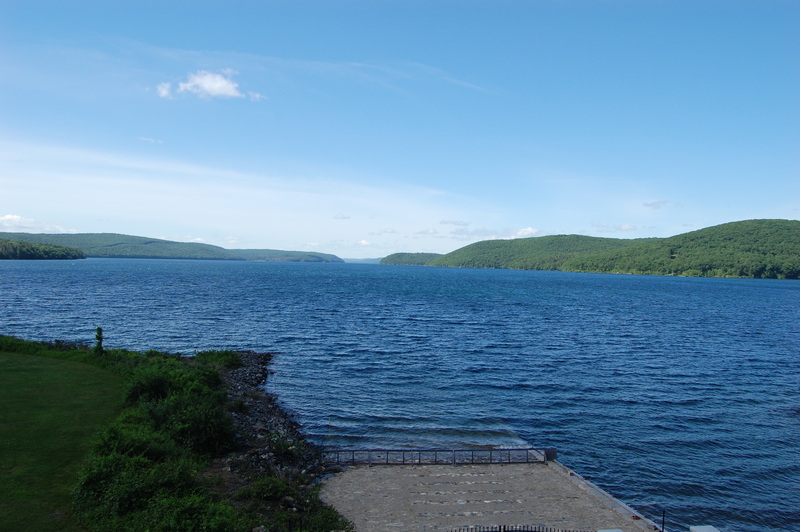 For more details check out the permit page for Quabbin Reservoir. Visitor Center at Quabbin Reservoir Park in Belchertown, MA. dis-incorporated to make room for the Quabbin, the history of the reservoir and other interesting information about this artificial watershed. It also has restrooms, ample parking and park rangers available to answer any questions you might have. The view of the reservoir from this visitor center is also worth a stop. This is also the perfect place to stop for a picnic and use as a first stop in exploring the reservoir and surrounding wildlife habitat. 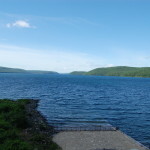 Dogs and other domestic animals are not permitted at Quabbin Reservoir because it is the major source of drinking for many of the communities in the Greater Boston Area. There is no fee to enter however there is a parking fee noted on the website (however it wasn’t collected on the day that I stopped in the visit – a busy Sunday in the summer). The fee is $6 per vehicle, $8 for vehicles with trailer and includes the fee to launch a boat into the reservoir and senior citizens (62 and older) are half price.